Christianity in Politics | J.W. Wartick -"Always Have a Reason"
People from across the political system have called for reform of the penal system in the United States. With Rethinking Incarceration: Advocating for Justice that Restores, Dominique DuBois Gilliard delivers both a bevvy of information for those curious about the penal system alongside a call to work for higher justice. The book is arranged around two parts: “The Roots and Evolution of Mass Incarceration” and “The Church’s Witness and Testimony.” These parts have much interplay with each other. The first part lays the groundwork for understanding how the United States has become the world’s largest prison system. He grounds this in a slew of historical details, starting with an examination of the “War on Drugs” and how it led to a massive upturn in numbers of incarcerated. Gilliard notes how Black Codes paved the way for “Neoslavery” and the use of the penal system to effectively make slaves once again. He notes these historical perspectives alongside discussion of the “pipelines” (to prison) of mental health, privatized prisons for profit, and immigration. Each of these has clear justice issues that cannot be ignored. The School-to-Prison pipeline, something I had only heard referenced but not really dug into before, seems quite clear to me after reading this book. Essentially, by allowing police presence into schools, we have criminalized delinquency at an alarming rate. Things that may have earned detention or suspension before now yield prison sentences to minors. Frankly, this seems insane. I was blown away by learning that very few states have any special training for the “resource officers” that are put into schools to watch our children is equally disturbing. There is no requirement for any kind of child psychology, de-escalating situations with minors, and the like whatsoever in most places. After establishing this historical basis for the increase in incarceration rates, Gilliard turns to seeing what the church might do about this plight. He does not ignore historical perspective here, either. One of the most moving and interesting chapters in the book is “The Prisoners’ Pastor: Chaplaincy and Theology’s Institutional Impact.” Therein, Gilliard uses chaplains at the notorious Sing Sing prison in New York as a case study. It was thought by some that sending chaplains to the prisoners was pointless because they were “too far gone” to be impacted by such a ministry. The impact of the persistent chaplains in the face of serious opposition–including by those who ran the prison–is a wonderful tale, but not one without stumbling blocks either. It is also clear that when the chaplains become tools of the system, it can be incredibly damaging. Another chapter examines the nature of punishment and how a Christian view of the penal system ought to be oriented towards not just punishment but also bringing people back into community. He argues this through an analysis of biblical justice and showing that restoration is a major theme. One of the major ways we can help to cut down on the system of mass incarceration is to educate rather than resort to exclusion and punishment every single time. Rethinking Incarceration: Advocating for Justice that Restores is a fascinating, heart-rending, and immediately applicable book. Agree or disagree with Dominique DuBois Gilliard’s positions, it should be read by Christians who wish to think discerningly about our penal system. I highly recommend it. We have a way of rushing to put our hopes or trust in individuals. Bonhoeffer recognized this and even acknowledged that the leader-as-idol is not necessarily something the leader does unilaterally; often it is something that we people want ourselves. We want to be led–we want our leaders to be perfect. Such devotion can lead to our leaders mis-leading by taking up the praise we offer and becoming our idols. Woe to a church that is afraid to call out leaders for wrongdoing. The message is clear: putting hope in any institution is itself idolatry and blasphemous. That institution may be a para-church group, a church, or even a nation-state. The only true hope–the only possibility of hope–is found in Christ alone. Whenever we cease to acknowledge that–whenever we put our hope in anything else–we have committed blasphemy and are called to repent. Ferdinand Schlingensiepen, Dietrich Bonhoeffer 1906-1945: Martyr, Thinker, Man of Resistance (New York: Continuum, 2010). I try to avoid straight-up politics on this blog, but I think it is important to discuss the election this year. Too often, as I’ve voiced my intention to not vote for Donald Trump, I’ve been told that we aren’t voting for a moral leader, but a President or something of the sort (a President, not a pastor… however you want to put it). But apart from the fact that separating morals from policy is impossible, the fact is that the reason I’m anti-Trump was, from the beginning, a matter of policy. Here are just a few of the policy-oriented reasons I’m not voting for Trump. Period. And they’re based, in part, on conservative values. What is one of the most important thing for most conservatives? Freedom of religion. I find this a paramount part of our country’s greatness, myself. The fact that you may freely believe and practice your faith, whether it be Pentecostal, Calvinist, Lutheran, Hindu, or Buddhism is an ideal that is beautiful and necessary. Conservatives across the board point to the importance of religious freedom. Thus, with conservatives telling people they ought to vote for Trump based on policy, it is worth asking: do Trump’s policies support religious liberty? The plain and clear answer is: no, obviously. Think about it. Suppose Donald Trump had come out saying “We need a total and complete ban of all Christians entering the United States.” How do you think conservatives would have reacted? As they should have: by exploding. Such a statement would be a direct violation of religious freedom. It would be seeing someone’s faith as the sole reason for denying them entry into our country. But because he said it about Muslims, suddenly it’s seen as okay. Here’s the thing: religious liberty is, and always has been, religious liberty for all religions. Yes, if someone decides that their religion is to kill everybody, that would be a religion that could not be allowed liberty, but Islam is demonstrably diverse, with several distinct factions and offshoots, many of which denounce violence in the name of their faith. It’d be like banning all Christians because of the Branch Davidians or banning all Lutherans because the BTK killer happened to be, ostensibly, Lutheran. But the point of this is not to debate whether Islam is violent or not (it’s not, inherently; with 1 billion Muslims in the world, if Islam was automatically violent, why are not all of these 1 billion Muslims killing people?). The point is that Trump explicitly made a statement in which religion was the single reason for exclusion from our country. That is a terrifying reality to think about, because as many conservative beliefs begin to be seen as oppressive, it is not very hard to see how conservatives could be next on the list of those banished from the country. *Note: I realize Trump has somewhat scaled back this talk to having “extreme vetting,” but it is important to take into account the fact that his initial position of simply banning people based on religion. Freedom of speech and the freedom of the press stand alongside religious freedom as some of the most important parts of our constitution and, frankly, our country. Yet, once again, we find that Donald Trump is no defender of such a freedom–a freedom that is put forward by conservatives as vastly important. Um, yes it is, actually. That’s one of the things freedom of the press explicitly permits. Moreover, Trump has suggested libel and slander laws ought to be opened up to allow him to more easily sue and defeat others who speak badly of him. This is a terrifying reality in which we have a candidate who doesn’t respect freedom of speech because he doesn’t like what others say about him. So here we have a Presidential candidate who believes it is acceptable to suggest changing the Constitution because he doesn’t like when people speak ill of him. I think that’s a real problem, and would suggest freedom of speech is yet another policy that should have conservatives fleeing from Trump, not flocking to him. For more on this topic, see this article from Red State, a conservative web publication. “The free market works–it just needs leadership, not dictatorship… We need legislation that gives American companies the tax priorities and financial support to create more of their technology and redirect more of their manufacturing here at home.” –Donald Trump, “Crippled America,” 81, 86-87. “Nobody can build a wall like me. I will build a great wall on our southern border… Construction of the wall needs to start as soon as possible. And Mexico has to pay for it… Mexico will pay for it. How? We could increase the fees on temporary visas. We could even impound remittance payments derived from illegal wages. Foreign governments could tell their embassies to start helping, otherwise they risk troubled relations with America. If necessary we could pay for the wall through a tariff or cut foreign aid to Mexico…” – Donald Trump, “Crippled America,” 23-25. Each of these quotes demonstrates that Trump is by no means a conservative when it comes to fiscal policy. One of the cornerstones of conservative fiscal policy is free trade. Yet in the first quote, Trump encourages protectionism in economics, which is the opposite of free trade. In the second quote, he supports tariffs as a possibility for paying for his projects. Again, raised tariffs are the opposite of free trade. Moreover, Trump has been vocal in opposition to NAFTA and other free trade agreements. Each of these shows beyond any question that Trump is not a conservative when it comes to fiscal policy. “If we’re going to continue to be the policemen of the world, we ought to be paid for it. …There is another way to pay to modernize our military forces. If other countries are depending on us to protect them, shouldn’t they be willing… To pay for the servicemen and servicewomen and the equipment we’re providing? …We defend Germany. We defend Japan. We defend South Korea. These are powerful and wealthy countries. We get nothing from them.” –Donald Trump, “Crippled America,” 32, 34. Whatever Trump has said about nuclear missiles and the like aside, this quote shows that Trump has very little grasp of foreign policy. He sees the United States as a mercenary that hasn’t been paid. He sees our military forces as dollars and cents. More astonishingly, he sees American lives lost defending allies as price tags. How much is the life of one soldier worth? Trump would put a price on it, and then sell that to the highest bidder. I’m not making that up: just read what he himself wrote in his election book! Later in the same chapter he asks rhetorically why we didn’t make a deal with the leaders of Kuwait “that outlined how they would pay for us to get their country back for them…” (35) before Desert Storm. Effectively, Trump here suggested we should have extorted money from the leaders of another sovereign nation before we went into military action. Thank goodness he wasn’t in charge of our country during World War 2! We would have had to negotiate with the Allies on the price of our help before we sent our brave soldiers to the shores of Normandy! Trump has also been vocal about his opposition to NATO, an immensely important military alliance. The dismissal of many of our closest allies by Trump, often accompanied by accusations that the United States must pay too much money, once again shows that Trump’s foreign policy is based upon nothing but the bottom line. But of course foreign policy based purely on flawed economic theory (see “Fiscal Policy,” above) is not the best way to practice foreign policy. Neither is dismissing allies as though they have done “nothing” for us (see his quoted comments above on Germany, South Korea, and Japan). Time and again, we see Trump’s foreign policy largely can be summed up by dollars and cents. When those dollar signs are set alongside the lives of Americans, as they clearly are in Trump’s mind, there’s a huge problem with his foreign policy. Look, simply appealing to the Supreme Court as the reason to select a President shows already how broken the system is. First of all, one’s alleged Supreme Court nominee list is not a “policy,” per se, so I’m confused by my conservative friends continuing to say that policy is the reason, and then citing SCOTUS as the only reason. That said, I don’t for a minute believe that we, conservatives or not, want Donald Trump selecting SCOTUS nominees. For one thing, as already mentioned, Trump believes the constitution should serve his whims when it comes to freedom of speech. Think he doesn’t know that the Supreme Court could help him achieve that if he can appoint judges he wants? Think again. Of course, Trump has also said his pro-choice sister would make a great Supreme Court justice. He may have changed his mind about that–and it seems some are very willing to believe anything that Trump has changed his mind on–but for conservatives, that should have warning sirens blaring at full. This article explores this difficulty further. It’s no secret that Trump is repeatedly on record voicing pro-choice ideals throughout his life. Only once he began to run for President–ostensibly as a conservative Republican–did Trump begin to say he was pro-life. But time and again, Trump has been blindsided by pro-life basics. When asked about what should happen if abortion were made illegal, he waffled his answer, saying there should be “some kind” of punishment for women who have abortions. More recently, in the third Presidential debate, he botched an explanation of partial birth abortion and failed to nail Clinton to the wall for her radically pro-choice perspectives that go against both science and logic. Let’s be honest here, anyone who is truly convinced of the pro-life position ought to be able to articulate it, right? But Trump has demonstrated time and again that he cannot do exactly that. It should be extremely easy to expose Clinton’s talk about abortion for what it is: euphemism. But Trump could just repeat what seemed a memorized piece of rhetoric. So we have an allegedly conservative Presidential candidate who can’t even articulate and defend the pro-life view beyond some catch phrases, and who fails to press the attack against what should be a fairly easy target. There are many other reasons I would refuse to vote for Donald Trump, but I hope this post makes it clear that policy is one of those reasons. If my conservative friends and family and acquaintances–and I love you all, don’t let this sound any different–really, truly are conservative, they need to provide for me answers to all of the above. How is it that any of the above policies are conservative? As a Lutheran, a podcast I frequently enjoy is “Issues, Etc.” It continually offers a Lutheran perspective on current events, theological issues, and more. However, there are times where its approach to theology or current events reflects less a Lutheran understanding than a specific brand of theological conservatism. The recent podcast (2/11/16) featured Pastor Hans Fiene discussing “Women in Combat and Selective Service.” I found it to be deeply mistaken on a number of issues, and would like to address just a few of those here. “Sending” your daughter or wife? One comment made in the episode labeled any man who would “send” his wife or daughter to investigate a noise downstairs to see if it might be a burglar as a “coward.” There are a number of problems with this statement. First, anyone who “sends” anyone else into a potentially dangerous situation because they don’t want to go themselves might be labeled as cowardly. The way the phrase was said already begs the question. If the situation were reversed, would Fiene say that the wife is “sending” her husband to investigate, or is the husband simply investigating? Second, suppose that a man is married to a woman who has extensive martial arts training, is a weapons specialist, sleeps with a pistol under her pillow, and immediately leaps into action to investigate such a noise, while the man works a desk job, is of average build and has never used a weapon before. Is it really reasonable to think that the man is cowardly if he allows his wife to investigate the noise? Well, absurdly, others who share Fiene’s view argue that yes, that man has shirked his duty, is cowardly, and probably a wimp. In other words, men are to be shamed and emasculated if a woman is stronger or better at fighting than they are. The absurdity of such a position knows no bounds. Men are stripped of their manhood if women are perceived as better at things we arbitrarily label “manly.” It gets curiouser and curiouser, as assertions are made that a man ought to intentionally die even if a woman could save him. A reductio ad absurdum is not even required for this kind of position: it demonstrates for itself that it flies in the face of reason. It is hard to take this kind of statement seriously, and the statement itself is clearly condescension. Fiene assumes that he knows more about his opponents’ sincerity of believe than they do. After all, if only those silly egalitarians really knew what war was like or really believed in spiritual warfare, then they’d clearly change their minds. This leaves no room for sincerity of belief on the part of the egalitarian, and that is extremely problematic. Frankly, I don’t know of anyone who calls themselves an egalitarian who would recant their stance if women pastors were being killed by Pagans or had to deal with Plague. No one wants women to have those things happen to them; indeed, I hope no one wants men to have them happen to them either! The same applies to combat–no one wants soldiers to have to go kill people, I hope. But if difficult spiritual warfare, even death, is what pastors are to endure, and someone genuinely believes women ought to be allowed to be in the ministry, then those are the types of risks that must be taken. And to assume that egalitarians didn’t even think about that possibility or are too timid to even consider it is offensive, to say the least. The only way Fiene can make such a statement is by assuming without any argument that his opponents are insincere. As an aside, does Fiene completely discount the work of women like Mother Theresa, or Mother Maria Skobtsova (who was murdered by the Nazis), or the countless other women who have done exactly what he thinks egalitarians are silly to think women can do? A lack of integrating church history into an overall worldview might be shown here. Complementarian (and other conservative) commentators continue to equivocate on the term “feminism.” Instead of acknowledging that there can be any diversity within the group who self identify as feminists, the label is assumed to mean any number of things that many feminists do not put forward. For example, it was not just implied but implicitly stated that “feminism” demanded equality for women by arguing for abortion rights in order to free women from having to deal with childcare. This, of course, ignores the fact that the feminist movement started as strongly pro-life, not to mention the continued existence of groups like Feminists for Life who are out there making a real difference for the pro-life movement. The use of the term “feminist” as a clobber-word to induce fear is a straw man of the worst kind. It demonstrates either ignorance–a complete lack of knowledge about the breadth of views held by those who call themselves “feminist”–or intentional deceit. Moreover, to lump egalitarianism–the Christian movement for equality of women in the church and home–with this blanket statement of “feminist” as pro-choice, etc. is to obfuscate the issue even further. I wanted to add a brief note about natural law as well. Fiene and others continue to just throw out “natural law” in an undefined way as though it unequivocally supports their position. Yet one could just as easily appeal to “natural law” to support women in combat roles, for a natural law might just be a threshold of strength and mental endurance that could be seen as suitable for combat roles, and then anyone who meets that threshold is permitted to do so. I don’t want to delve into the deep waters surrounding natural law theory, but the point is that a bald appeal to “natural law” doesn’t do much to support Fiene’s position. I believe the discussion here has broader application to the discussion over so-called gender roles as well as the debate between egalitarians and complementarians. Fiene’s arguments are the same kind of arguments that are continually trumpeted by opponents of egalitarianism. But, as we have seen here, those arguments are fallacious, they fail to take the opposition seriously, and they rely on ill-defined terms and obfuscation. There is are no reasons provided by Fiene to support his position. Bare assertions, jabs at opponents, and absurdly irrational statements are put in the place of argument. Hans Fiene, “Women in Combat and Selective Service,” 2/11/16 available at http://issuesetc.org/2016/02/11/1-women-in-combat-and-selective-service-pr-hans-fiene-21116/ accessed 2/13/16. The issue of immigration has been turned into a political meme. 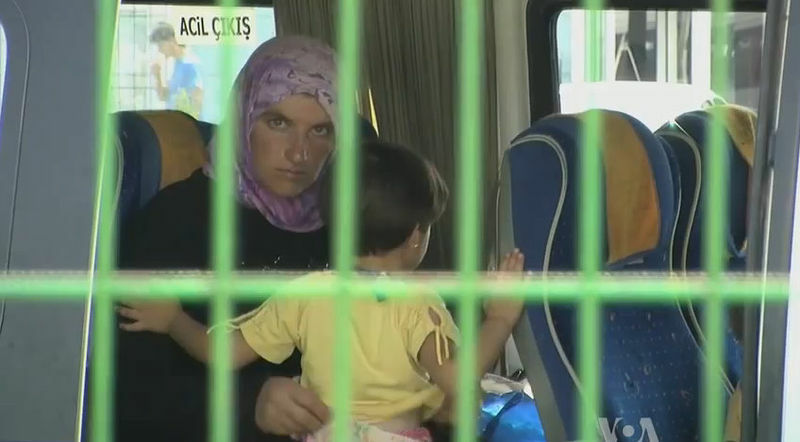 Refugees flee from Syria and other nations in the wake of violence. There are some who treat the plight of the refugee and immigrant, however, as a blight to be extinguished. What does the Bible have to tell us about these issues? A great deal. Here I will briefly draw out a few ways the Bible discusses these topics. The Bible makes it extremely clear that all humans share the image of God (Genesis 2), and that the divisions we make of nation and race have no place in the body of Christ (Galatians 3:28). The Old Testament has much to say regarding sojourners or exiles. There is no comment about the legality of the sojourner or exile, but rather the focus is on the plight of those who flee from their own lands. The argument might be made that these are specific commands to a specific people: the Israelites. After all, we read the reasoning: for you were strangers in the land of Egypt. We were never in Egypt! we might cry. The teaching, however, seems to be binding and universal.To point out that the latter part does not apply to Christians is like the teachers of the Law saying they were slaves to no one, despite being Abraham’s descendants (John 8:33). Moreover, when we consider a verse like Exodus 22:21- ““You shall not wrong a sojourner or oppress him, for you were sojourners in the land of Egypt” (ESV), we note that the reasoning provided is not necessary for the command. You shall not wrong or oppress a sojourner; next clause: here’s a reason why. But the command itself stands whether or not the reason given directly applies to us or not. Of course, even if you don’t buy into this reasoning, there are plenty of verses that simply command us to care for the sojourner. The letter to the Hebrews applies this from a New Testament perspective: “Do not neglect to show hospitality to strangers, for thereby some have entertained angels unawares.” (13:2). It would be difficult to discount that “illegal immigrants” are often among the poor and needy, or that refugees could not be counted among that number. Hope for all nations is preached throughout the Bible, calling people from all directions to God. Christians are told by Peter that we are all exiles in this world (1 Peter 2:11). We are in this world, and not of it. Such verses speaking of the nature of Christians as exiles on earth tie the thread, and bring us full circle. The reasoning that applied to the Israelites because they were sojourners in Egypt applies to us, because we are sojourners on Earth. Care for the poor and needy, do not turn aside the sojourner, for we are exiles as they are. Christians have no wiggle room: the plight of the sojourner, the refugee, and/or the exile are not to be ignored. We are to care for them as we would be cared for. How exactly does this play out in a practical fashion? That is up for some debate. However, any perspective cannot be called Christian which ignores the Bible’s clear teaching and command to care for others. It is also clear that there is nowhere in the Bible where provisions are made for some of the arguments commonly used in the political sphere. For example, there is no exception stating that if people do not want to pay higher taxes, they are allowed to turn aside the sojourner. Neither does it prescribe a specific system for providing assistance, or say that a specific form of government should be established to do so. One thing that is excluded explicitly would be any demeaning of others made in the image of God. One thing that is required is that we do care for those in need. We are called to help the sojourner. Whether that is the refugee from Syria, the young neighbor boy who ran away from an abusive home, or an “illegal” seeking to escape from systemic poverty: no exceptions are made. We as Christians should remember that we, too, are exiles seeking scraps from the Master’s table. 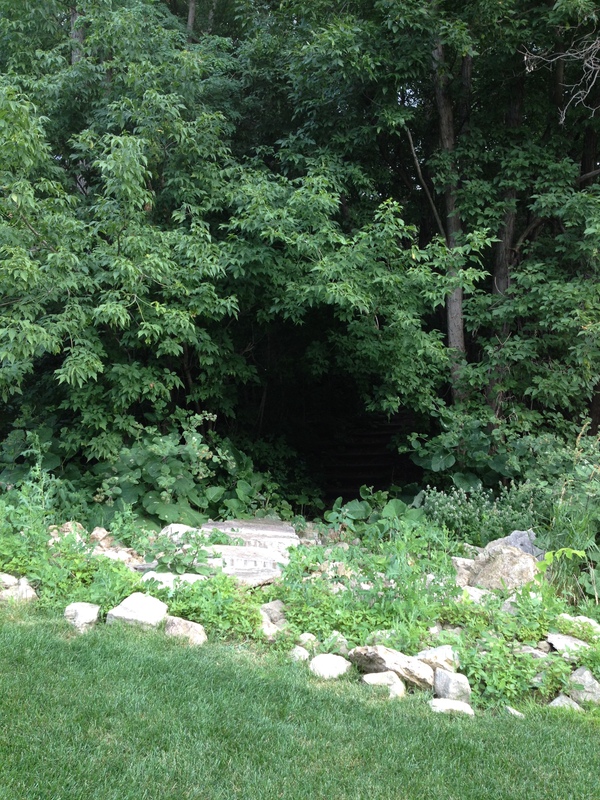 The purpose of this blog is to discuss things related to the Christian worldview. I tend to try to avoid political issues, but I recently saw a number of friends sharing an article entitled “Workers in Seattle Have Their Precious $15 Minimum Wage. But Now They Want Fewer Hours” and I wanted to respond. I will be analyzing the article from the Christian worldview perspective. Basically, they want a “living wage” (whatever the heck THAT means) AND they still want all the freebies the government gives them. Because that’s TOTALLY the point of working hard and being independent. First, I ran the numbers given in the article regarding minimum wage and cost of living in Seattle. It’s fairly straightforward, as the author shared a quote (without disputing it) of the prices involved. According to the article, the cost of a one-bedroom apartment is 1200$ a month. The cost of child care was about 900$ a month. That adds up to 2100$. Now we do the math on the wages. $15 an hour, 40 hours a week, about 4.5 weeks per month = 2700$. Now this is basically granting the most possible money because some months do only get 4 pay checks, but we’ll go with it. The math therefore shows that, ignoring any taxes whatsoever, there would be 600$ left over a month for utilities, food, auto/renters/life/health insurance, transportation and related costs, and the like. Whatever else might be in question here–whatever economic theories one favors–these are the numbers the article itself acknowledges. For Christians, this is the kind of data that we should seek out and try to form our opinions around. Of course we need to have economic practices which are sustainable, but as Christians we must also keep in mind the demands on our conscience towards the “other” in need. We should seek more information and be cautious about making broad statements on either side; whether we agree or disagree. Misrepresenting liberals is just as bad as misrepresenting conservatives. The bottom line is that there is absolutely no way around the biblical teaching about caring for the poor and needy–even if we don’t like their “life choices.” Thus, the tone of this article is highly inappropriate as it mocked those who were in need throughout with phrases like “I’m not addicted to government welfare…” thrown in as snide remarks towards those who are on some kind of welfare. A Christian response to this should be to immediately shut down any kind of mockery of other persons, period. There is no space in the Christian moral system for carelessly decrying those who are in need. Regarding the exact phrase in question, suppose we take it literally–what is the Christian response to addiction? Should it be to point out how we ourselves are not addicted and move on from the one who is? I don’t think so. I believe that we must continue to help those in need–even if addicted. That said, the dubiousness of taking the meaning literally is of course clear. It, like the rest of the article, was directed as mockery of those in need and those who have rival economic theories trying to help them. I’m not trying to favor one theory over another–whether pure capitalism or pure socialism or some mix is best is a topic for a completely different day and post–the issue involved is rather the tone we should carry even in disagreement. Rather than mock, should we not aid and instruct as needed? The most frequent response I received when I shared concerns related to the article was that I needed to be instructed on economic theory. Note that I have not commented on whether we need to raise minimum wage or whether we need to make it a “living wage.” I don’t particularly want to enter that debate and the quagmire that follows it. My comments have been on the ethical concerns with the article and its tone. We have looked at the numbers involved, and I suggested those should be a consideration regarding a Christian response to such issues. Other than that I think that we must at all costs avoid the kind of tone present in the article. We ought to treat others as we would be treated. Finally, as a practical concern, would not a reasoned response sharing one’s own disputes about the economic theory(ies) involved in the article be more convincing than poking fun at the specifics of another’s situation? I believe so. I certainly don’t respond well when the beliefs I hold are mocked. That is a surefire way to shut down conversation rather than spur it forward. If the intent is to convince, would not a winsome approach work better? 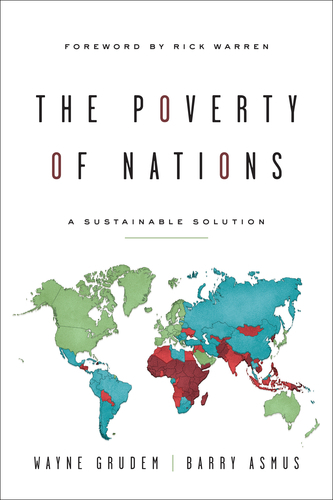 The Poverty of Nations: A Sustainable Solution is an ambitious book. Wayne Grudem (theologian) and Barry Asmus (economist) claim to put forward a list of 78 traits which, if incorporated at a national level, will bring about a solution to poverty. The book is an economic and moral/biblical treatise aimed at stamping out poverty through the production of goods and the integration of morality into global economic practice. Here, I’ll analyze it from its two primary thrusts: economic and moral. Then, we’ll discuss some of the issues involved in a book of this scope. The first half of the book focuses on issues of economics on a national level. Specifically, they endorse the free market as a way to bring prosperity to all nations. Their argument is based upon historical observations about how nations have gotten out of poverty and become prosperous. Thus, the authors argue that fair trade and open borders (with low or no tariffs and the like) will drive the market to balance itself out and also increase the overall prosperity of people from various nations. Moreover, it will provide a means by which lesser-developed countries can utilize their comparative advantages to produce things that other countries are willing to pay a higher price such that they do not need to produce them. Demand drives the market, and the freer a market, the more demand is able to do so. The reason it is beneficial to allow demand to drive the market is because it allows for people to genuinely respond to others wants and constantly produce newer, better goods in more efficient ways, thus increasing the wealth across the board. I should note that, by necessity, this is merely the briefest overview of this section of the book. Those who read The Poverty of Nations are essentially getting a fully realized introduction to international economics. In fact, the economic portion of the book is quite strong in many ways (though some issues with the complexity are noted below). Like the economics portion, this half of the book has much to commend it. Though basic, much of the instruction is vital and important to realize as necessary for economic success. For example, government curtailing of bribery is important for an economic system to become more successful. Another, more complex example would be the notion that tariffs decrease the productivity of international trade and artificially increase prices. Statements like this are frequently made, but after reading along and perhaps agreeing largely, one is forced to wonder about things like: “Where is the empirical evidence to show that this is actually the case?”; “To whom or to what are people more responsible to?”; “How are we capable of making judgments like this across incredibly complex systems like the economic practice of states, regions, nations, and the world?” The particular statement made above offers no empirical support for its claim, nor do the authors explore the complexities of simply stating that “people… are typically more responsible” in a free market. This statement, and others like it, leave me scratching my head and asking for the evidence. Certainly it is possibly true or perhaps it is true, but why think it without anything more than an assertion? Another difficulty with this section is that throughout, the specific examples given are taken to be the biblical approach to economics. Now, I think one could fairly say that the Bible condemns bribery, but what of more complex issues like whether it actually endorses a free market? One constant refrain in the book is the use of Genesis 1:28 (“fill the earth and subdue it”) to support various things, from use of natural resources (which are rather shockingly claimed to be essentially unlimited: “[I]t is highly unlikely that any resources will be used up in the foreseeable future… we keep discovering huge new reserves of resources and inventing more creative ways to access them” (6606-6617)–but of course where are the huge new reserves of forests? fresh water? etc.?) to drive people to invent and make new things (3405), to making products from the earth specifically (1169), to move beyond subsistence farming (4207), and more. One is forced to wonder whether the verse actually means all these things or if, perhaps, the Bible is simply under-determined when it comes to economic policy. I do genuinely wonder whether the Bible is to be treated as an economics textbook, which it often seems to be in this book. Quotes like these are scattered throughout, often in seemingly random fashion in the economics portion. The question is whether this really may be seen as a systematic treatment of the Bible on economy, or whether it may perhaps instead be mining the text to try to support claims about economy which are not really found therein. Not that these are unbiblical points; merely that they perhaps are not the focus or intention of the texts. The book seems to oversimplify on some aspects. It is common practice to use examples which allow an economist to shift just one aspect in order to demonstrate a theory. * That said, at times the examples used in The Poverty of Nations are often a bit too simplistic to believe. For example, at one point a thought experiment asks whether simply taking money from a group of wealthy elites would solve the existing issue of poverty. Although it seemed clear that simply attempting to redistribute wealth didn’t solve the problem, the proposed solution–the book’s solution–was to produce more goods. But it seems to me that if a number of elites were controlling the wealth in a country, just producing more goods would continue to line the pockets of those elite rather than specifically helping the poor. Examples like this abound throughout the book, as simple solutions are offered to extremely complex issues. Economics is a wonderfully complex topic, but as the authors themselves note at the beginning, it is one which is hard to study due to the human factor in it. Despite the professed efforts to avoid such simplification (Kindle location 2115, for example), the book often does seem to suggest a one-size-fits-all approach to solving economic problems. That said, at other times the authors do a great job of speaking directly to the complexities of the issue. For example, their discussion of colonialism was marvelous and ably pointed out both the potential benefits and cons of those endeavors on our present world situation. It was a great way to survey a complex issue without trying to identify any one factor. Portions of the book like this make the places where it is simplistic stand out even more, however. A final issue is that of audience: Asmus and Grudem claim the book is primarily written for leaders of impoverished nations, which–apart from coming off as a bit imperialistic–doesn’t actually seem to be the likely readership. The authors note others as possible audience, but I wonder whether we may end up with several people walking around with this as their only interaction with economic theory and assuming they are able to fix the world’s problems through this oft-simplified economics instruction. The Poverty of Nations: A Sustainable Solution is at times brilliant, but at others frustrating. It is well-worth a read for Christians interested in economics and attempting to strike at the core of poverty through effective legislation and whole-nation solutions. It does provide a very useful introduction to international economics, and gives some very good ways forward for those wishing to engage on this topic. However, readers should go in with some caution: the simplification at times means that readers should not take this as the final word on this topic, nor should they assume by reading the book they are suddenly equipped to run national-level economic programs. Sunday Quote!- A biblical answer to economic woes?– I discuss a quote from a section of The Poverty of Nations and whether it is true that the Bible may contain specific economic practice. Wayne Grudem and Barry Asmus, The Poverty of Nations: A Sustainable Solution (Wheaton, IL: Crossway, 2013). *I was a Social Studies major in college and so took a number of economics classes. I am making no claim to be an expert, but rather educated laity in this area. **All references are to kindle locations. Sunday Quote! 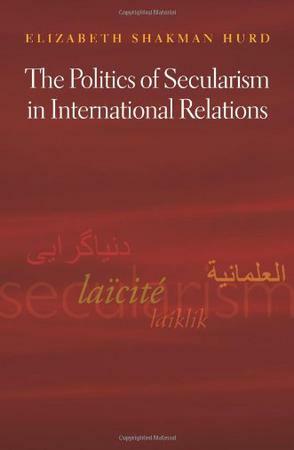 – Secularism as necessary in the Political Sphere? “[T]he objective of laicism is to create a neutral public space in which religious belief, practices, and institutions have lost their political significance… The mixing of religion and politics is regarded as irrational and dangerous. For modernization to take hold, religion must be separated from politics… Laicism adopts and expresses a pretense of neutrality… This makes it difficult for those who have been shaped by and draw upon this tradition [laicism] to see the limitations of their own conceptions of religion and politics.” -Elizabeth Hurd, “The Politics of Secularism in International Relations,” 5. What do you think of the concept of laicism based upon this quote? Have you heard of it before? What are your thoughts on the possibility of the presumption of secularism in politics? Book Review: “The Myth of Religious Violence” by William T. Cavanaugh– I review the book which has led me to discuss the ways the category of religion is used to stigmatize the other and also forced me to rethink a number of issues. I highly recommend this book.